It’s been a love story 35 years in the making. George and Jean Blackwell married after meeting at a Chattanooga TV station where they were coworkers. They had a lot in common, including their past military service in the United States Marine Corps. George was a Vietnam veteran, and Jean had served stateside. Together, they enlisted in the United States Army to join the reserves, and worked at a military hospital. The Blackwells have been partners in life through many adventures, crises, blessings, and trials. But while visiting their daughter in Sevierville in 2011, they had no idea that they were about to face a new medical crisis that would usher in all sorts of trials and blessings that were brand new. They didn’t know they would eventually choose to make Sevierville their home, in part, because of the care they received at LeConte Medical Center. It was Jean’s birthday, Aug. 31, 2011. During her monthly self-breast exam, she discovered a lump. George took Jean to the Dolly Parton Center for Women’s Services at LeConte Medical Center. The results of a 3D mammogram prompted her physician to call for a biopsy. “I was impressed that a hospital no larger than LeConte had this high technology,” George says. Later that day, Jean received her diagnosis. The unsettling news was made easier to receive because of the attentive staff at LeConte, and Jean says she felt well cared for by the physician who diagnosed her cancer. For George, an extra layer of worry began to settle in. He knew they were looking at years of treatment, and Jean’s case was urgent. Should he pursue health care for Jean at LeConte Medical Center, or take her back home to Hamilton County? After a few phone calls, George decided they were right where they needed to be. 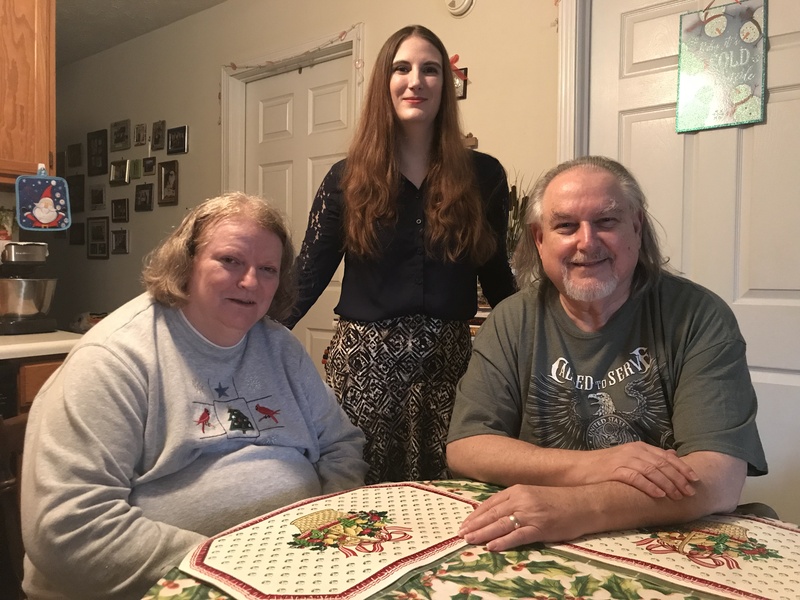 “Our family doctor checked with the oncologist he knew in Chattanooga, and came back with the answer that everything we needed was here in Sevierville,” George says. An added bonus was that the Mountain Home VA Clinic was in Sevierville, too. George, Jean, and their daughter Elizabeth were busy making appointments and learning about life-saving care. What they didn’t know was that important paperwork was being taken care of behind the scenes on their behalf. As a result of that paperwork, Jean was able to receive financial assistance through the Tennessee Women’s Breast and Cervical Cancer Program. It was a welcome surprise and a relief, and the Blackwells say they’ve come to learn that going above and beyond for patients is standard care at LeConte. They recount how Jean had a heart scare during chemotherapy one day at Thompson Cancer Center. An ambulance was called to quickly deliver her to the emergency department. The family also praises Jean’s cancer surgeon, Jeffrey King, MD, a fellow veteran they say is not only an excellent surgeon, but a genuinely kind and humble man who cares well for patients. They say he’s another example of how care that’s administered with excellence and kindness isn’t the exception. It’s the rule. Five years later, seated together around the dinner table, the Blackwells remember the journey. Jean gives thanks for her family. George and Jean have no regrets about their decision to remain in Sevierville. They say the kindness of the people here has been overwhelming. And they say at LeConte Medical Center they have been treated with comprehensive care and with compassion every step of the way. New friendships in Sevier County have been added to the old ones in Hamilton County. The Blackwells have been embraced by a new church family in addition to the one they’ve known for years back home. George and Jean are becoming accustomed to the kindness of strangers. That includes polite teenagers who say “thank you for your service” when they find out George and Jean are veterans. It’s no wonder that when George asked Jean to think about where she would like to spend the rest of their retirement years, she spoke without hesitation. And that’s fine by their daughter. “I feel very strongly that they are both receiving the best medical care they have ever had in their lives, bar none,” Elizabeth says.